An expert gives insights into various Ayurvedic home remedies and treatments, which help to cure a number of ailments and diseases. 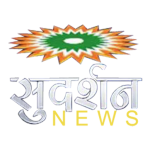 Sudarshan TV is a 24x7 Hindi news channel launched in 2006. The channel is based in Noida, Uttar Pradesh. The channel is the largest reporter Network Channel of the Village News. It has won many awards like Rural News channel of the year, Most attacking news channel of the year etc. One of the shows Bindas Bol of this channel has been awarded Show of the year award in 2013. The channel focuses on coverage of all kinds of news especially International, Political, National, Cultural, Agriculture, Sports, Entertainment, etc. The channel has a state of the Art infrastructure and is reputable to be prioritizing Authenticity over Speed. The Sudarshan News live channel takes care in delivering all kinds of news for the development of nation instead of creating hype over crime specifically.